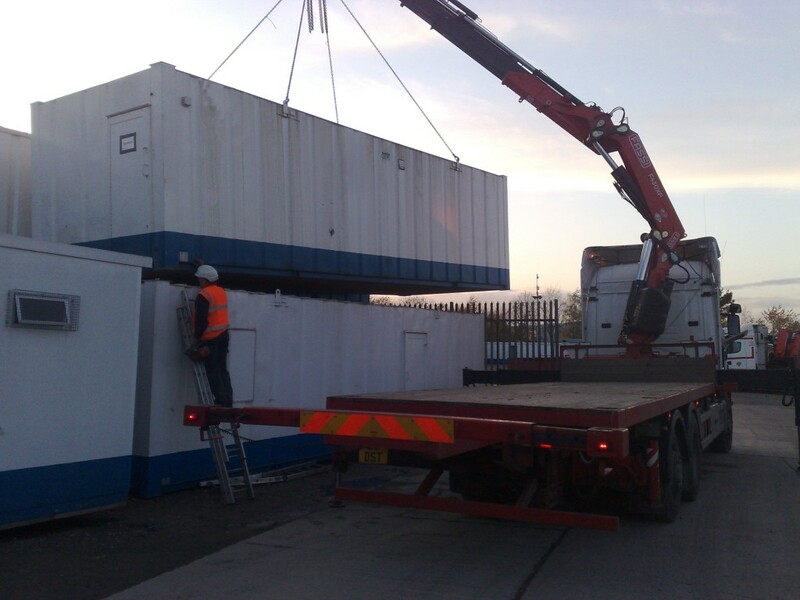 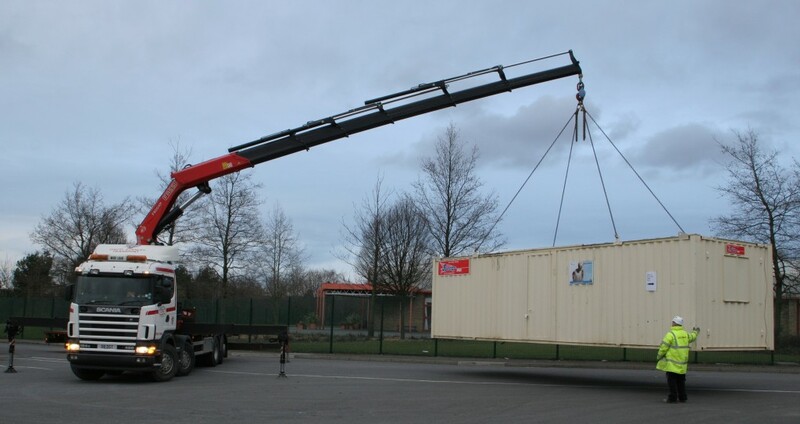 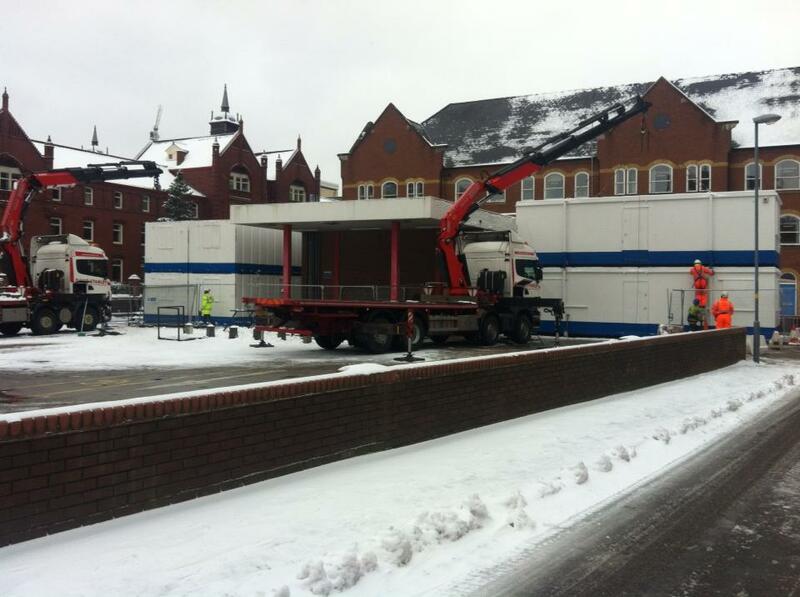 Cabin transport is what we do best and as one of the largest and most experienced portacabin movers in the UK, we transport more than 70 portable buildings per day. 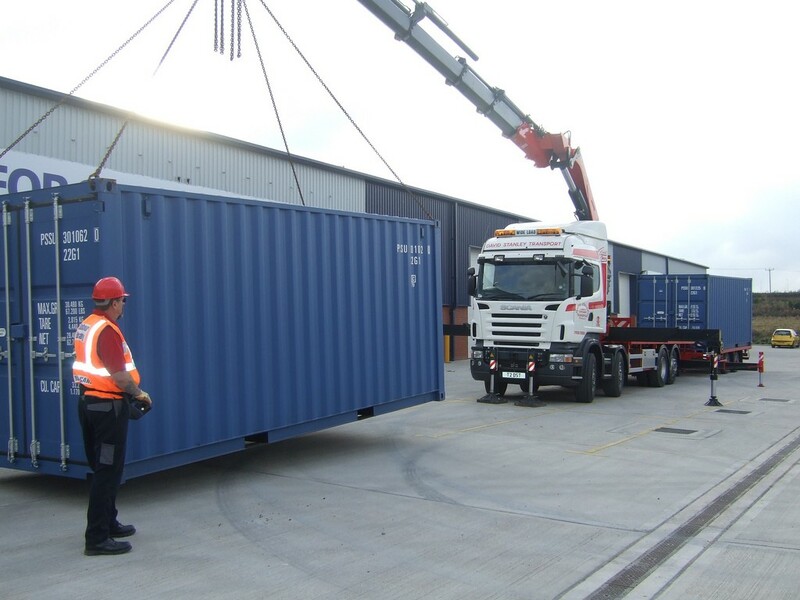 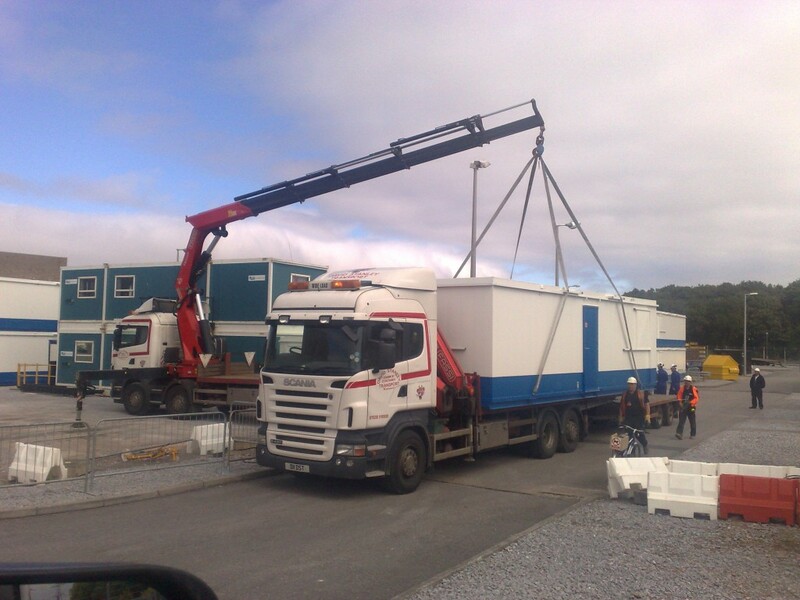 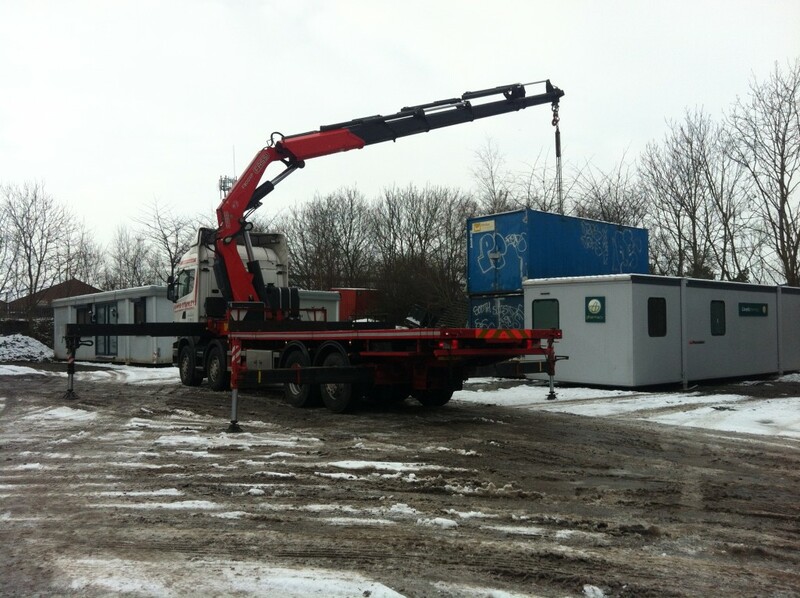 If you need a cabin, container, modular building or any type of sectional building lifting or transporting, let the professionals take care of it. 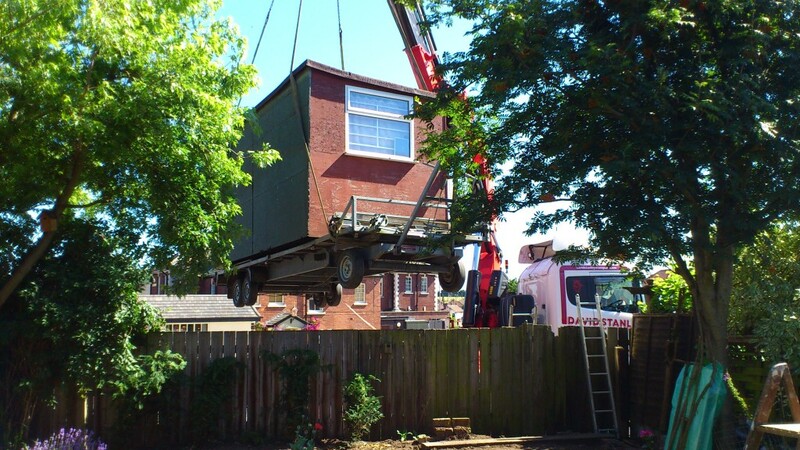 Our reputation is unrivalled. 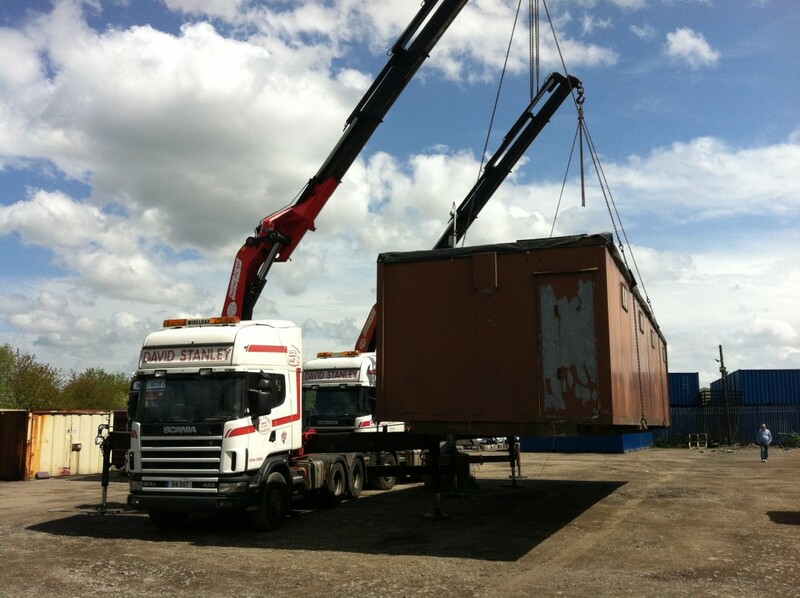 David Stanley Specialist Transport & Lifting Services are industry leaders in the Cabin and Container sector, with over 25 years of experience which is also held by most of our driver operators, having been with our company since it formed more than 25 years ago. 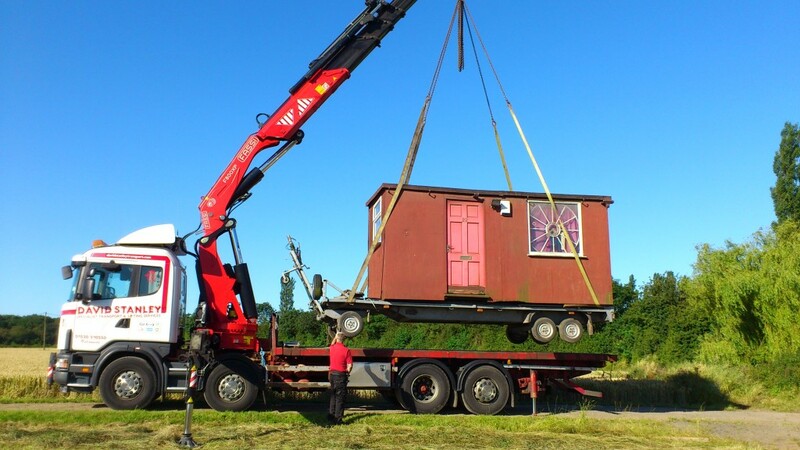 Our driver/operators will collect and deliver your building safely, making sure the unit is totally level, keys have been handed over, and the customer is 100% happy before getting all paperwork signed and leaving the site. 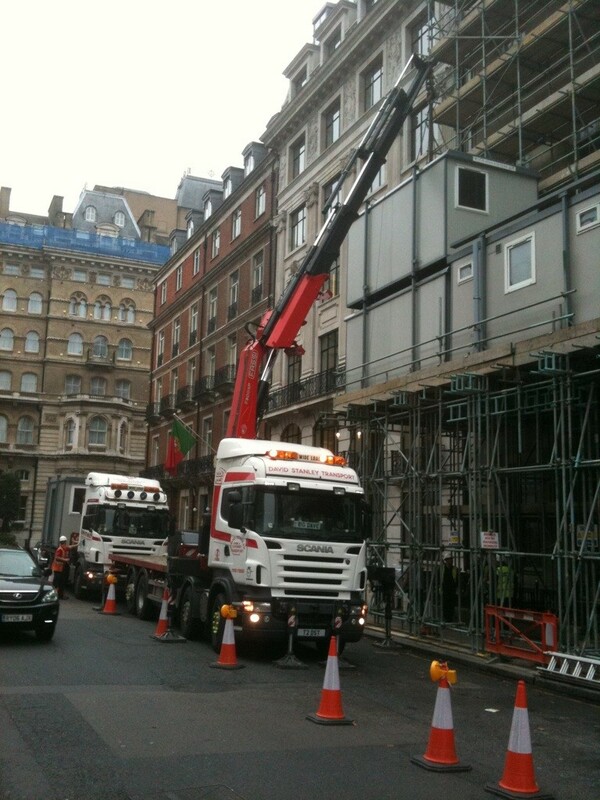 They can also double stack units on top of others and erect staircases and landings without the need for extra cranage or labour on site. 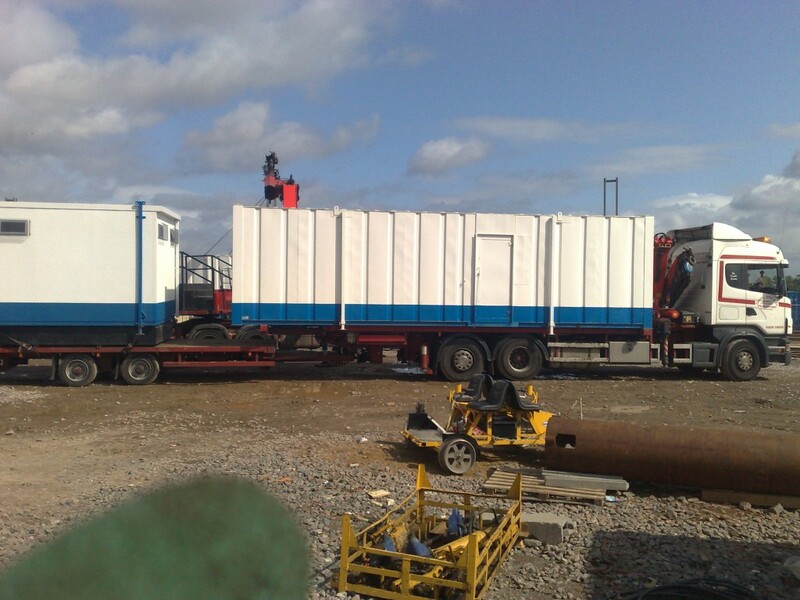 For more complex, multiple cabin installations we also supply additional labour and slinger signalers to assist our operators on site if required. 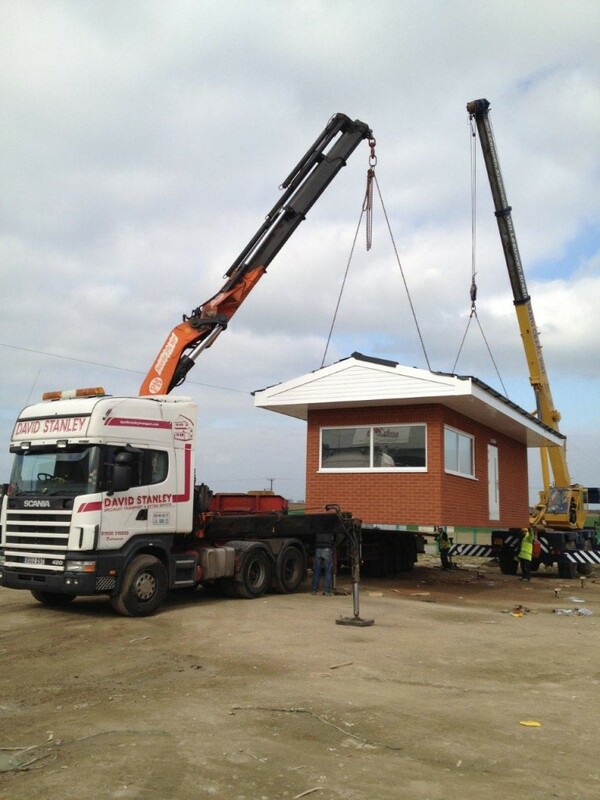 David Stanley Transport & Lifting can also undertake total project management if required, with an Appointed Person carrying out a site visit, writing up site-specific Method Statements, Risk Assessments and Lift Plans and planning the whole lift/installation under contract lift conditions when required, working to BS7121. 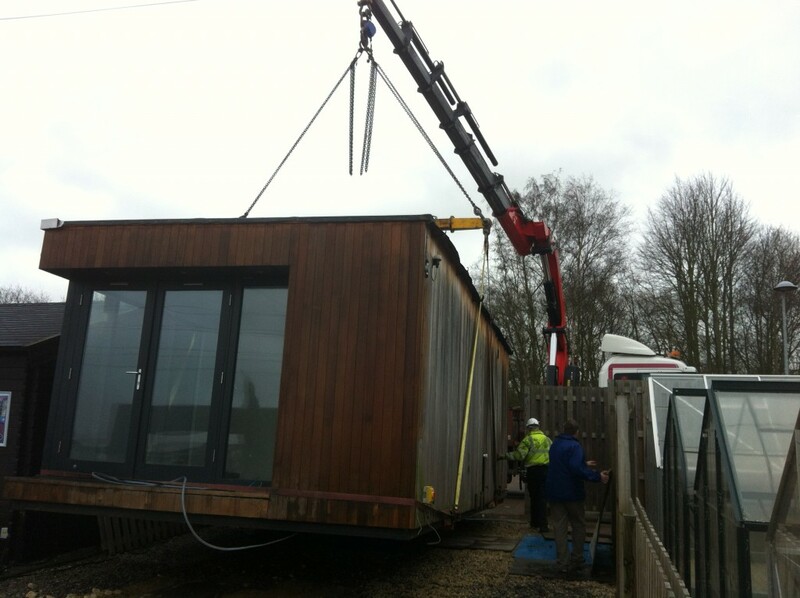 We can also “skate” cabins and other items inside buildings where headroom is too restricted for use of a crane. 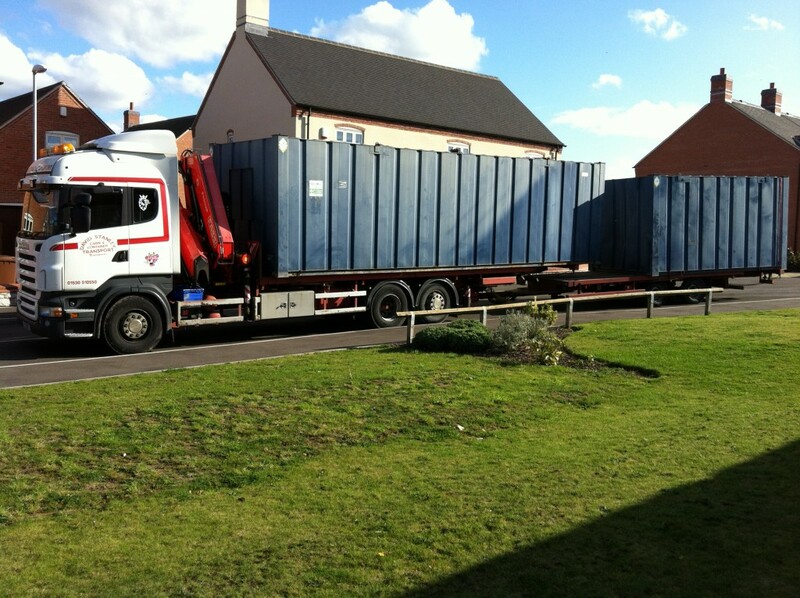 Please call our national help desk on 01530 510550 for an instant quotation.